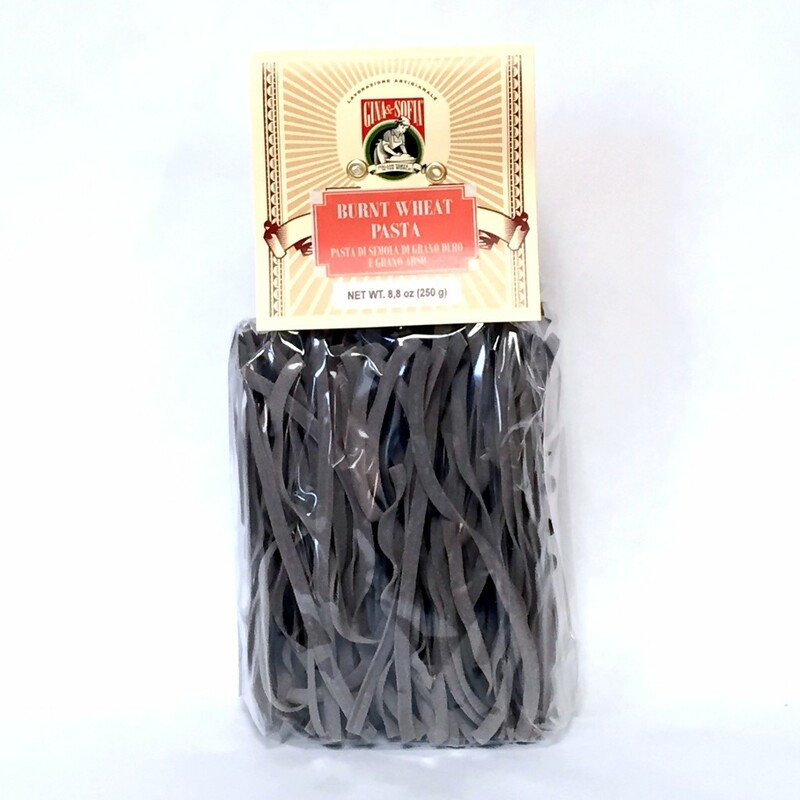 Last week a new pasta arrived in Minneapolis, by way of Gragnano Italy, a small town in the province of Naples. 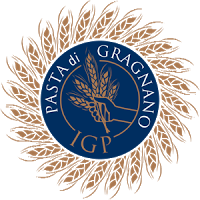 Alfonzo and Pasquale Cesarano are the fourth generation of pasta makers at Le Antiche Tradizioni di Gragnano. Their pasta is made using non-GMO durum wheat (semolina) grown in the hilly areas surrounding their town (most pasta is made with imported flour.) The dough is extruded through bronze dies to create the rough surface that allows for the sauce to cling to the noodles. Gragnano’s “main street was laid out expressly to capture the mountain breeze mixed with sea air back when pasta makers hung spaghetti on drying rods like laundry,” according tо а Forbes Life write up. Although that aspect of the production has moved indoors, the art of slowly drying the pasta has remained. The longer drying time functions to preserve the nutrients in the wheat, to create a better texture and nuttier flavor – not to mention pasta that doesn’t fall apart while boiling. But most importantly, these are some darn good noodles. Straight out of the pot the noodles were rich and and creamy in flavor with a meaty toothyness. The town of Gragnano is known for its paccheri, and their version lives up to its expectation. Theorecchiette are the prettiest we’ve ever seen. 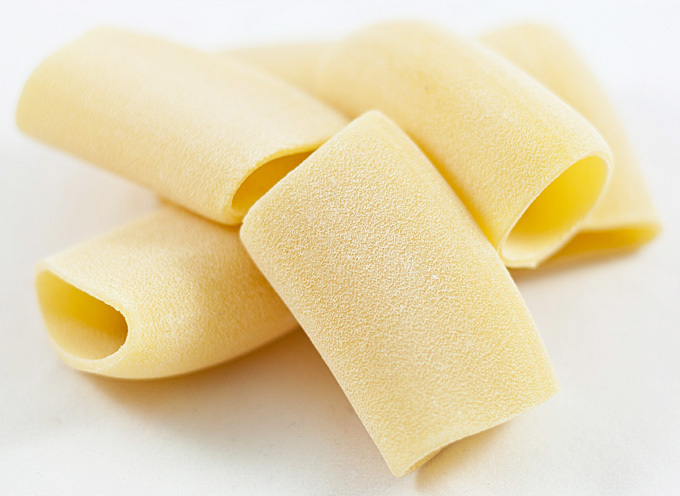 We are adding restaurant and retail sizes of pasta from Le Antiche Tradizioni di Gragnano, to our list of great traditionally made pastas, so that we can offer a variety of shapes and sizes from the producers who make them best. We’ve been seriously smitten with m’hamsa couscous from the Mahjoub family for a few years now, so we are happy to see them getting much deserved attention from the powers that be at the SOFI awards. Les Moulins Mahjoub is a family owned cooperative of twelve brothers and sisters, with each overseeing an aspect of the production. Between the twelve of them, they own several organic farms in different environmentally diverse regions of Tunisia – from the deserts of Tatouine (its a real place), to Mediterranean Tunis, and the lush Mejerda Valley – which served as major grain growing region for the Roman Empire. It is in theMejerdaValleythat the Mahjoubs grow the wheat used to make their m’hamsa couscous. The only ingredients are durum wheat (semolina), extra virgin olive oil, salt and water. Again setting themselves apart from the competition – the Mahjoubs use their own extra-virgin olive oil in everything they make from the sundried tomatoes, to the couscous. 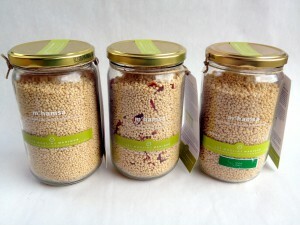 These delicious couscous are available in both retail and foodservice sizes. Once you taste them, you might be convinced to pick up a nine kilo tin for your home use as well. They taste supurb combined with any of the other tasty sundries made by Les Moulin Mahjoub. The Mahjoubs also bottle their own tomato couscous sauces, for a dish that bears striking similarities to Italian cuisine – until you realize thatTunisis only a few miles away fromSicily. We like them in a chilled couscous salad dressed with olive oil, a bit of their traditional harissa, chopped cucumbers, sundried olives, marcona almonds, and our Stickney Hill chevre.